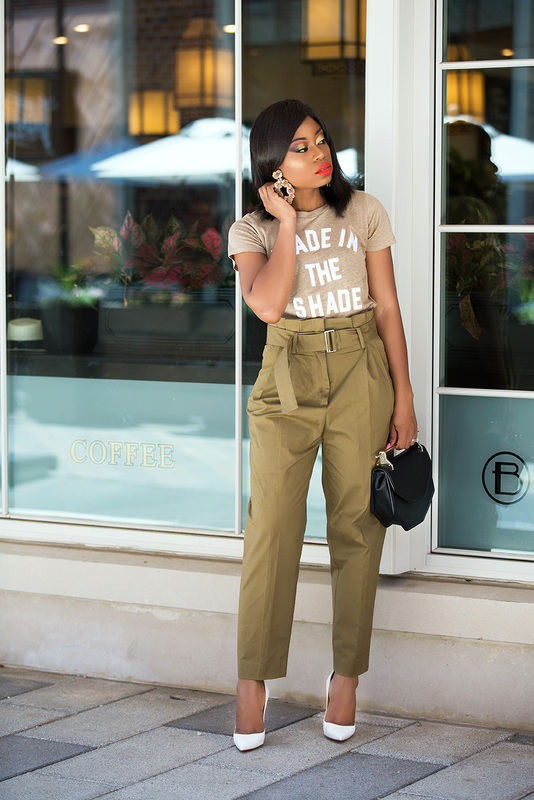 I styled this khaki high-waist trouser a few months ago with a duster coat, leopard pumps and a graphic tee for spring (as seen here). 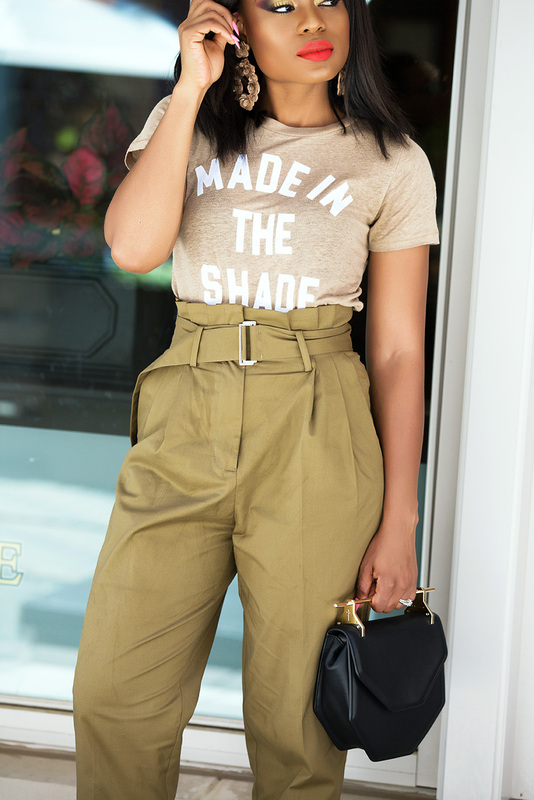 Still in love with graphic tees, I am restyling with another graphic tee but this time, I went for a neutral approach with the beige color. 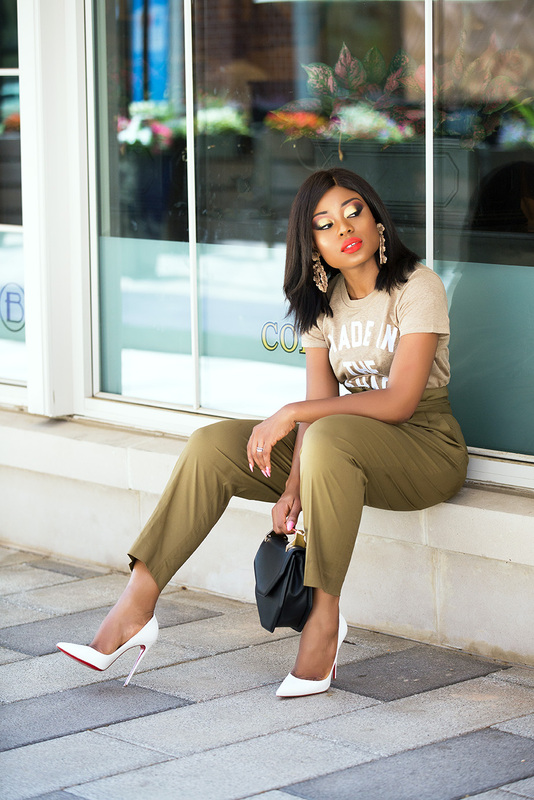 I completed the look with white pumps to complement the white print on the graphic tee for contrast. 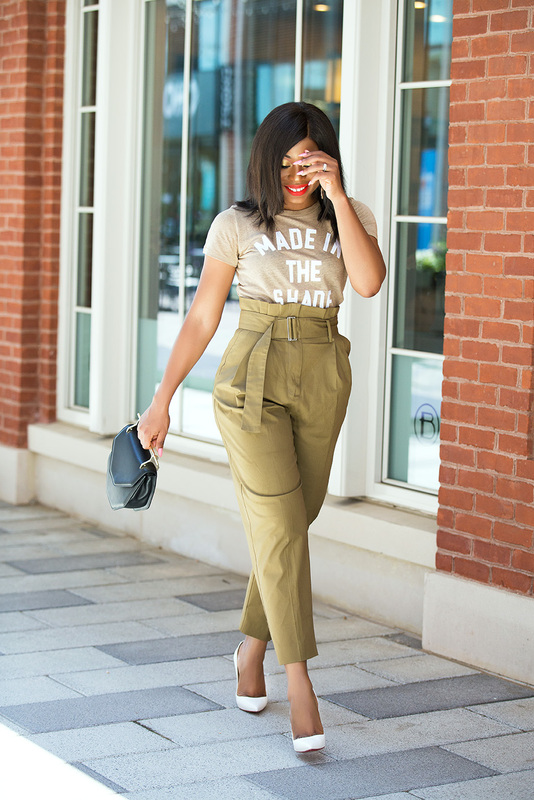 This outfit looks amazing on you Stella! 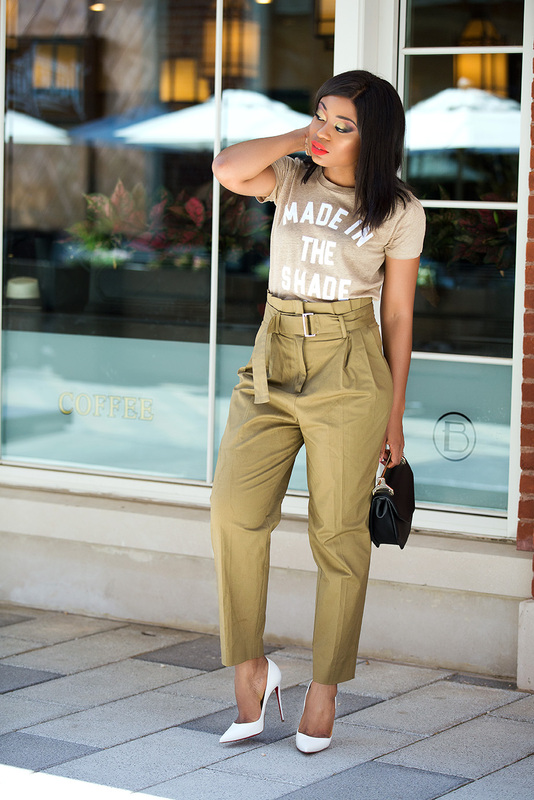 I love how you styled this awesome high-waisted trouser with a simple tee.